growing a minimalist wardrobe: canvas sneaks. – Reading My Tea Leaves – Slow, simple, sustainable living. 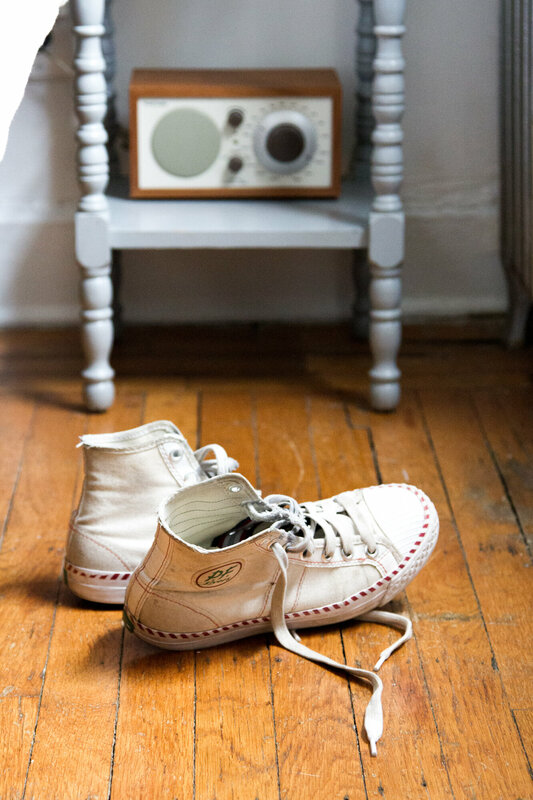 growing a minimalist wardrobe: canvas sneaks. My sisters and I wore Keds canvas sneakers growing up. They were almost always white and they had what can only be described as a magnetic attraction to grass stains. Mine always became streaked with green immediately upon wearing. When they got especially dirty my mom would throw them into the washing machine and then the dryer, which made the crepey soles curl up on themselves, just a little, but enough to notice. By the end of the summer, no amount of washing could clean them up. My childhood summers were marked by the passage of worn-through sneakers with curled up soles. I can’t remember precisely when I got my first pair of high-top canvas sneakers. The ones I remember best were from the Land’s End catalog and if memory serves, I wore them, nearly exclusively, in the year that I was 8. They were navy blue with a ditsy floral print—pink and white and green all over. I’ve kept a pair of high-top canvas sneakers in my closet ever since. In my view, they’re the perfect shoe—sturdy and comfortable and understated enough for wearing most any time. I wear mine year-round, even in weather that perhaps calls for something more than a bit of cotton canvas, but it’s in springtime that the niggling itch for a fresh new pair is strongest. Here, a round up of canvas sneakers—high-tops and low—that I’ve been admiring lately. They’re all made with the classic vintage styling that I like best. Full disclosure: Classic Converse Chuck Taylor All Stars sneakers are still some of my favorites (especially the monochrome white ones), but they’re not made with any particular nod to environmental or worker well-being that I know of, and so in this roundup, I’ve tried my best to seek out some others that are. Ethletic: Also currently only widely available in Europe, I’m tempted to start a petition to get these guys more easily available in the US. Their Fair Trainer White Cap Hi Cut is a pretty, pretty good looking sneak and it’s made from sustainable, fair trade-certified materials. According to the company, they pay an additional 15% of production cost to folks who work in their production facilities; money that’s used primarily for health insurance, retirement benefits, and to support local education. Evam Eva: I spotted a pair of beautiful black-soled Evam Eva canvas beauties on the Rennes shop instagram (one of my favorite shop feeds to ogle) recently and had to ask shop owner, Julia Okun, more about them. She imports them from Japan and has only a few left at the time of writing, but will restock for fall! PF Flyers: When I bought my current pair of well-loved high-tops a few years ago, I opted for PF Flyers instead of Converse All Stars. Not all of their sneaks are still made in the US—and of course that’s not always a sure sign of environmental stewardship or stellar worker conditions—but the company does still produce some of their classic sneakers in Boston, Massachusetts. The white Made in the US Center Hi is a serious contender for replacing my current pair (photographed here). Shoes Like Pottery: As the name suggests, these beautiful Japanese sneakers are made by hand and fired in a kiln which “causes the sulfur mixed inside the raw rubber to chemically react, returning the rubber to its natural elasticity and creating a soft, flexible, and durable sole.” Science! If you’re swayed by a pop of color, these are your shoes. The soles are turquoise! Available through Need Supply in the US (among others). Vejas: This French sneaker company has made sustainability a cornerstone of its brand, committing themselves to making sneakers where raw materials have been sourced from organic farming and ecological agriculture and workers are treated with dignity and respect. I bought a pair of hemp Veja’s last spring. They’re classic and cute, though I admit that they feel a bit large for me and have been slow to break in. Done over, I might opt for these ones, though I’d love to see a high-top option. What about you guys? Are you canvas sneaker wearers? Any favorites to share? PS. If slip-ons are your preferred style of canvas sneakers, I’m a particular fan of Spanish-made Cienta sneakers, especially for little kids. 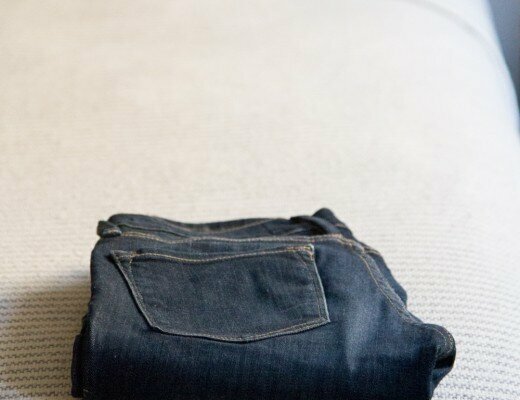 minimalist wardrobe resolutions for a new year. 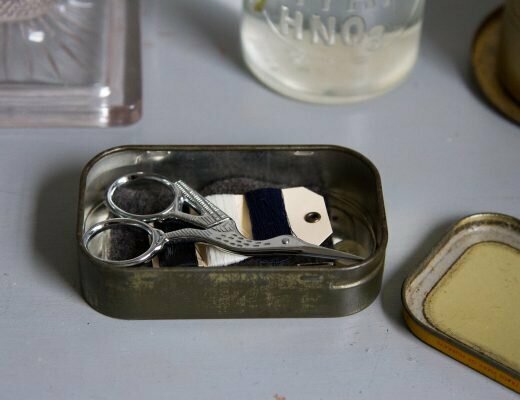 growing a minimalist wardrobe: make a sewing kit. 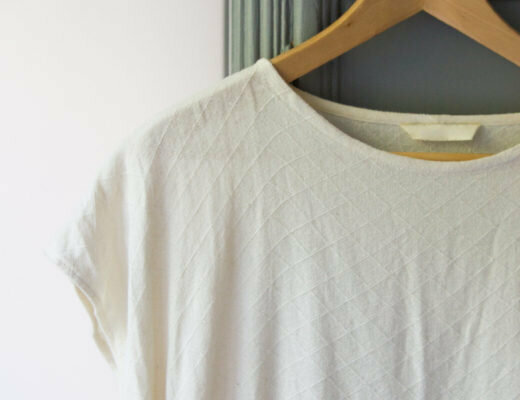 growing a minimalist wardrobe: buying and selling secondhand sustainable fashion. Made me think of these sneakers too! Yes! Love those, too! Don’t know much about their manufacturing! They’re not canvas but I love my Allbirds runners. I have the wool one and they are so very comfortable. I haven’t tried the new tree runners but I’m very tempted! I like my Allbirds, too! But for me, they’re strictly an exercise shoe. I can’t wear them every day like I can a pair of classic canvas sneaks. Ah, interesting! Thanks for sharing! The Shoes Like Pottery look amazing. So curious to try them. Erin do you have any tips on ethical workout clothing? I’ve been trying to avoid all things polyester but the options for yoga tights that I found were few and far between and many of them were very 1970s hippy ish (tie dyed etc). I eventually bought a pair of Manduka tights that are made of cotton and a bit of recycled polyester. They are fantastic but I would love to find some other options, especially for sports bras and tanks. Hi Anna, I have an old post in the archive about workout clothes, though it could probably use an update! Will see if I can work something out! I recommend https://lilylotus.com. Lots of tie dye, but there are a few solid color options. Their fabric is thick and unbelievably soft. Patagonia has wonderful options- mostly recycled and fairtrade materials! I especially love the centered capris and fleur tank. My kids live in and love their Cientas! Oh, terrific! Thanks so much for sharing these here! Thank you for sharing this! Now that the weather is getting nice again, I was just about to finally replace my falling-apart years-old Superga’s today, and after happening upon your comment I decided to order a pair of BANGS instead. Can’t wait to see how they are! I am so excited to have an option like this. 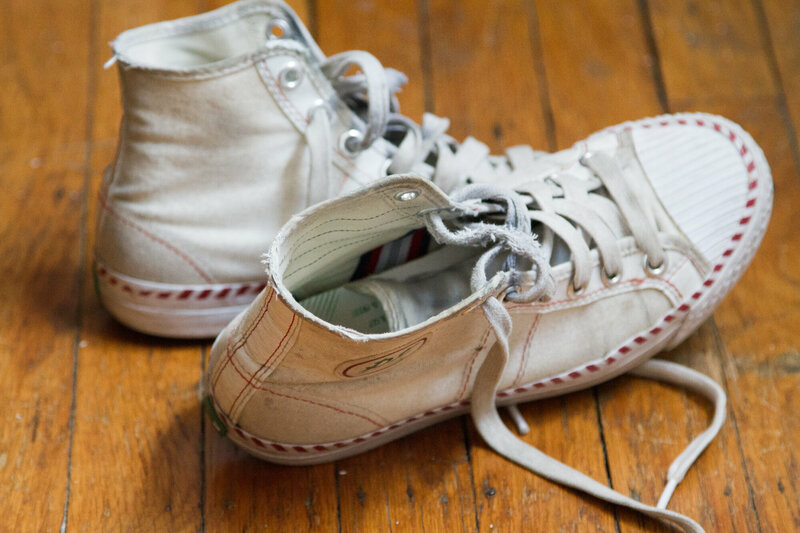 The elusive Bensimon tennis elastiques in eggshell are my favorite but I can never find them for sale here. I walk through the sole in one year of constant use but that is kind of satisfying in a strange way. I want to try those blue soled beauties next. Thanks for this round up! Yes! Some BS colors are so elusive in the states! I’ve never gotten much into Keds or high-tops because they have zero arch support. Cute, though. I am so in love with those Shoes Like Pottery kicks! Who can say no to a turquoise sole?! The zipper can be a bit annoying sometimes, especially if you prefer to go sockless, but I just love that the soles are repurposed tires and they’re super thin and comfortable! I’ve got to admit I’m in love with those PF Flyers, but their parent company is New Balance, which I’m boycotting, for obvious reasons. If someone could persuade me that their workers are treated well, and that they are respectful of the environment, then I might be persuaded to give them a chance. Hey Theresa, Not obvious to me! I’d love to learn more about your New Balance boycott. I know there was some buzz about New Balance supporting the current administration, but I was under the impression that the reports were erroneous/overblown. Seriously? I totally hope you are right. I’ll look into this. Also, I realized I forgot to say thanks for this awesome list. I’ve been looking for some new canvas sneakers, and I’m in love with all of these. Oh, you’re welcome! No thanks needed. Hope you find something to love! Yes! James has actually had a few pairs and really likes them! Thank you for this list! I am in the market for new canvas sneakers. Love that there are so many good options! I still live in white Keds. Dresses, jeans, skirts…everything works with them. Does anyone know about the manufacturing process of Spring Court? Can’t find it mentioned on their website. Are they comfortable? I couldn’t find anything about it either, but it does look like the shoes are no longer produced in France. 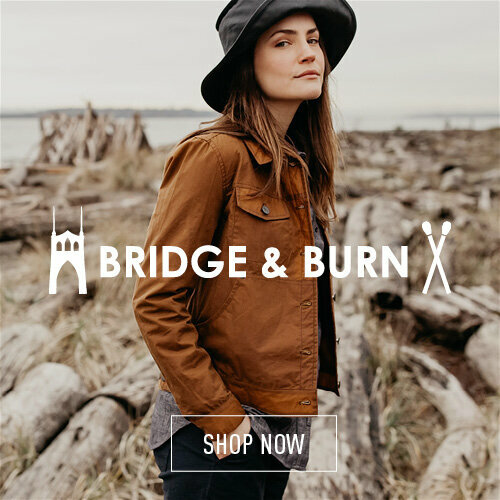 They don’t mention specifically how sustainably they have been made, but overall the brand is very conscious and eco-friendly in their efforts. Thank you for this great list! I hadn’t heard of many of these companies before. Bookmarking for when I need to replace my canvas sneaks. My childhood adventures all happened while wearing white leather Keds. I remember begging my mom for a pair of canvas shoes, but she said the leather was easier to clean. Plain white leather sneaks are still part of my core wardrobe and personal style to this day. Mother knows best? Yes! i’ve been wearing my Vans for a couple of months and won’t take them off. They are so comfortable! Mine are light pink and I wear them with everything. I remember the Spring Court tennis sneakers when I was a teenager in France. Today, I am rediscovering canvas shoes. I like the high tops. Wearing canvas shoes is also a good way to slow down on making leather shoes and synthetic based shoes.